The pub down the road is a frequent destination at the end of a tough day testing online slots so it’s only fitting to pick out our five favourite pub-themed games. The list below contains two British pub-themed games and three related to the famous Munich Oktoberfest and there’s no shame in that – these are two countries which hold beer in very high regard. We’ve picked the best combination of graphics, playability and bonus features and there’s also a fruit machine-style three reel offering which is probably our favourite. 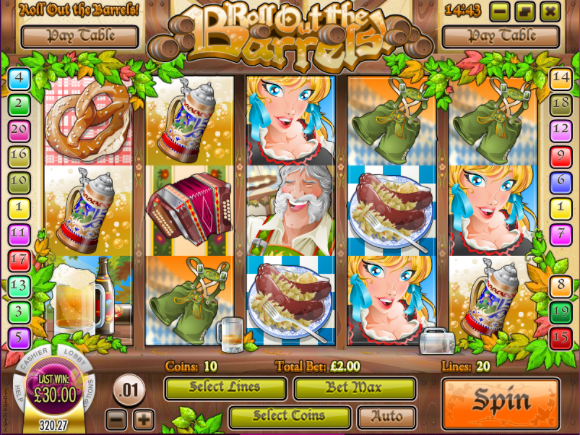 Bier Haus is a crips-looking slot from WMS Gaming with the famous Oktoberfest as it's theme. Those blond-haired serving girls are happy to offer free spins for lucky players. Click here for the full review. 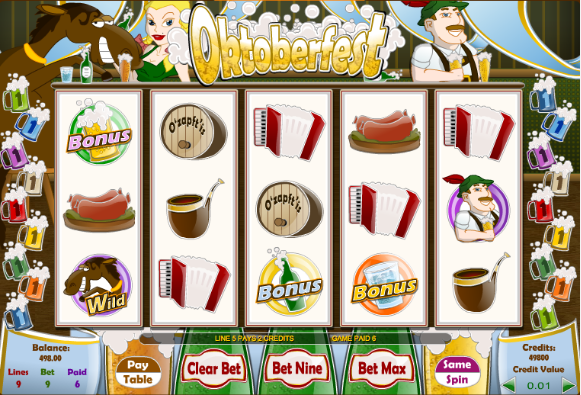 Oktoberfest is also clearly based on that famous party in Munich and it's from Amaya Gaming. German stereotypes abound and there's just a simple bonus feature but it's good stuff nonetheless. Click here for the full review. 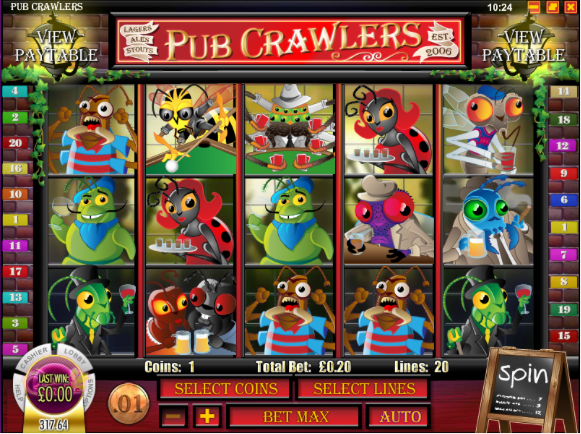 Pub Crawlers from Rival Gaming brings us right back to an East End boozer but the crawlers in question here are beer-loving insects. Two bonus features and some top quality graphics make this a great diversion. Click here for the full review. Roll Out The Barrels takes us back to Germany with lots more beer steins, lederhosen and sausages on offer. 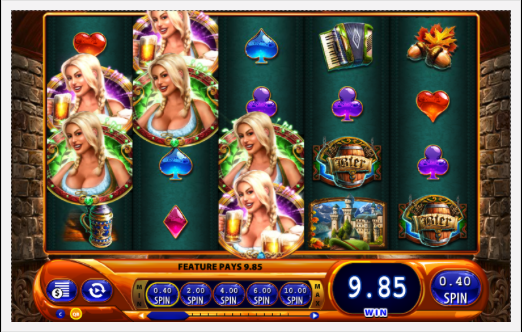 This Rival Gaming slot offers two extra features for beer lovers. Click here for the full review. 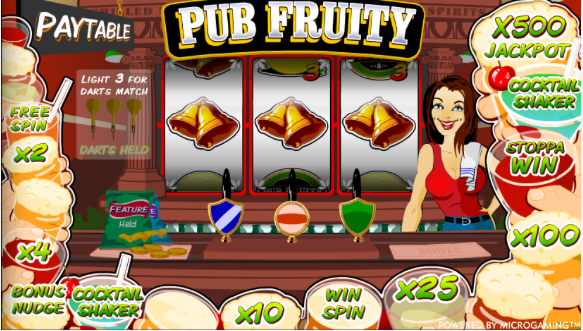 Pub Fruit is a three reel addition to this list from Microgaming and it's fruit machine-style game with nudges, bonus features and all manner of extras. It's well worth checking out. Click here for the full review.